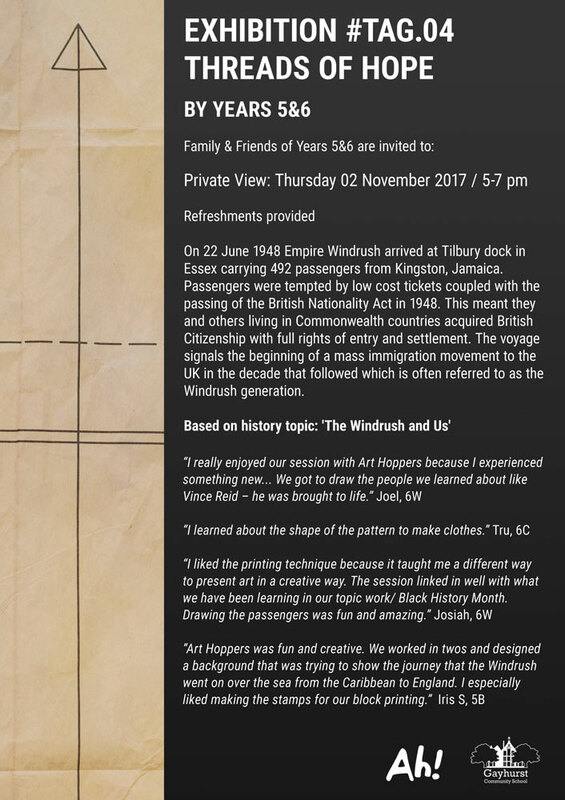 Children studied the history of Empire Windrush which, on 22 June 1948 arrived at Tilbury dock in Essex carrying 492 passengers from Kingston, Jamaica. 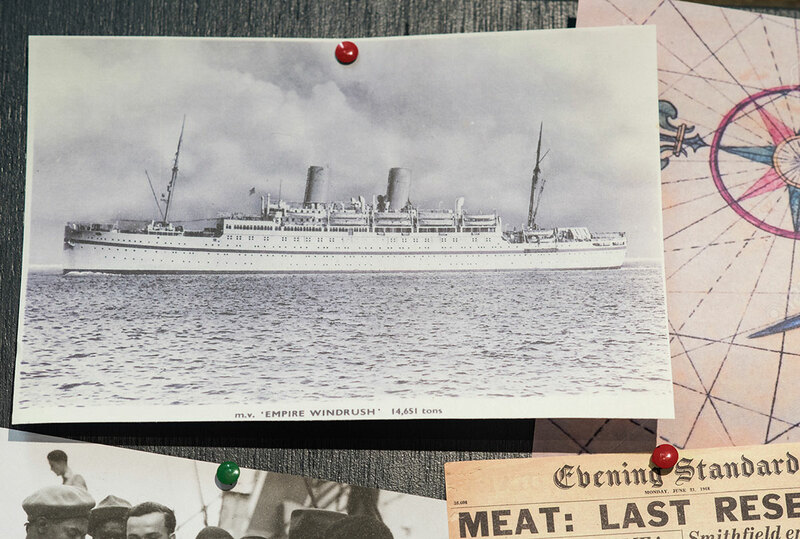 Passengers were tempted by low-cost tickets coupled with the passing of the British Nationality Act in 1948. 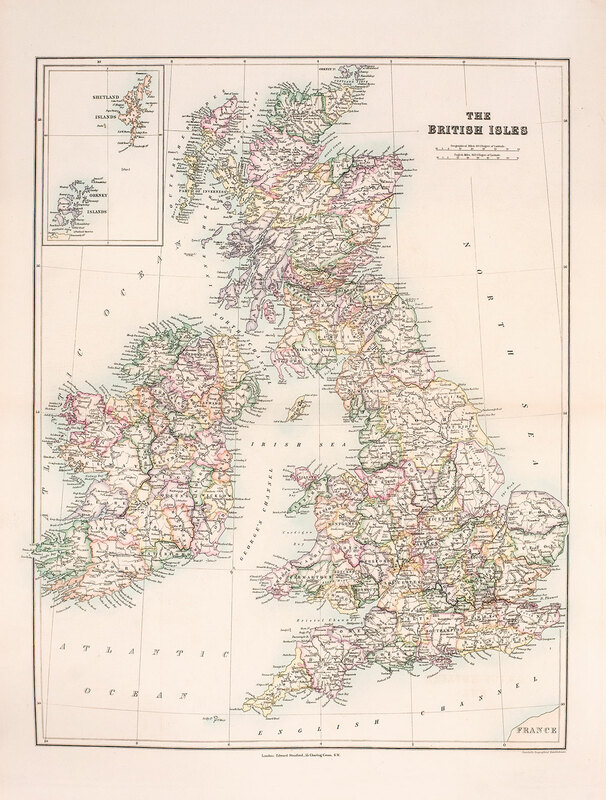 This meant that they and others living in Commonwealth countries acquired British Citizenship with full rights of entry and settlement. 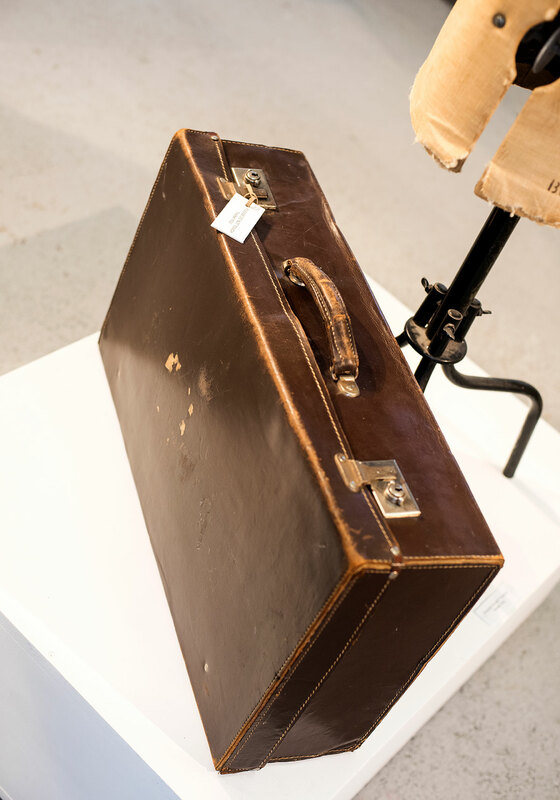 The voyage signals the beginning of a mass immigration movement from the Caribbean Islands to the UK which is often referred to as the Windrush generation. 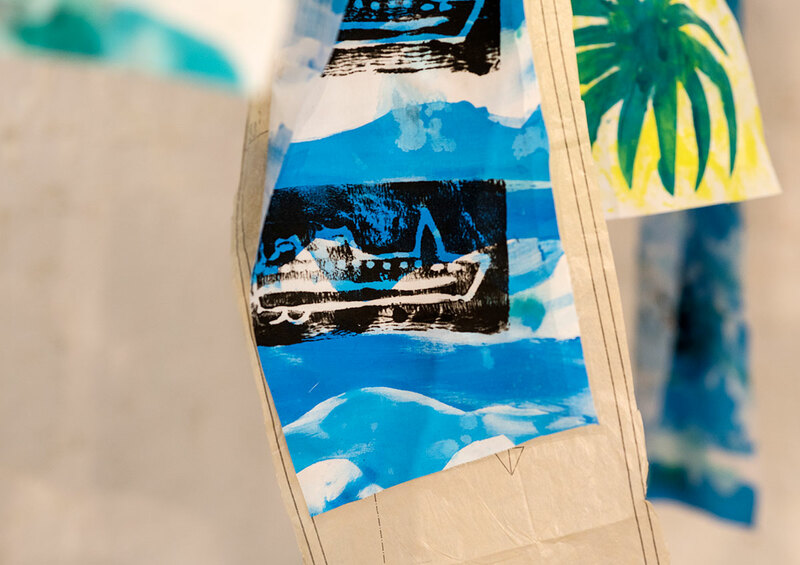 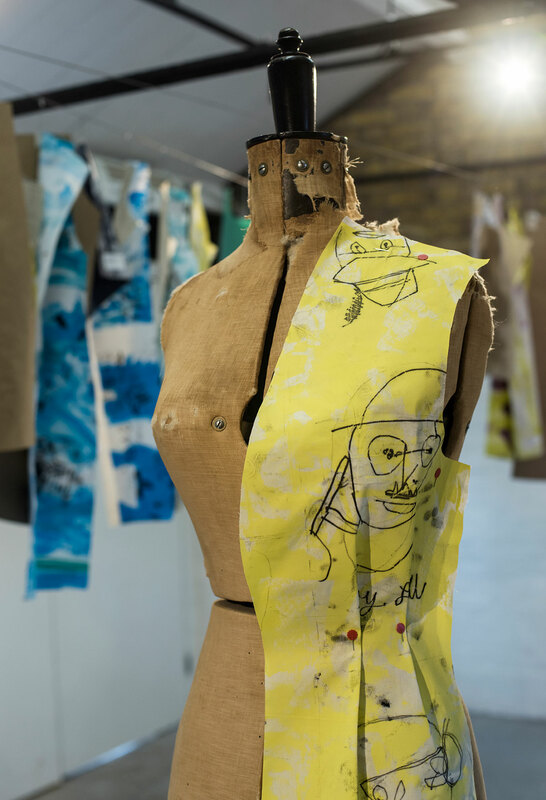 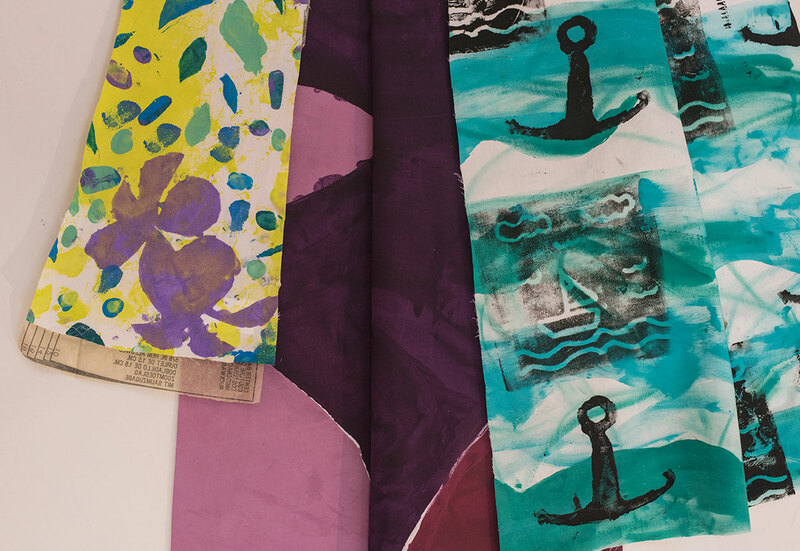 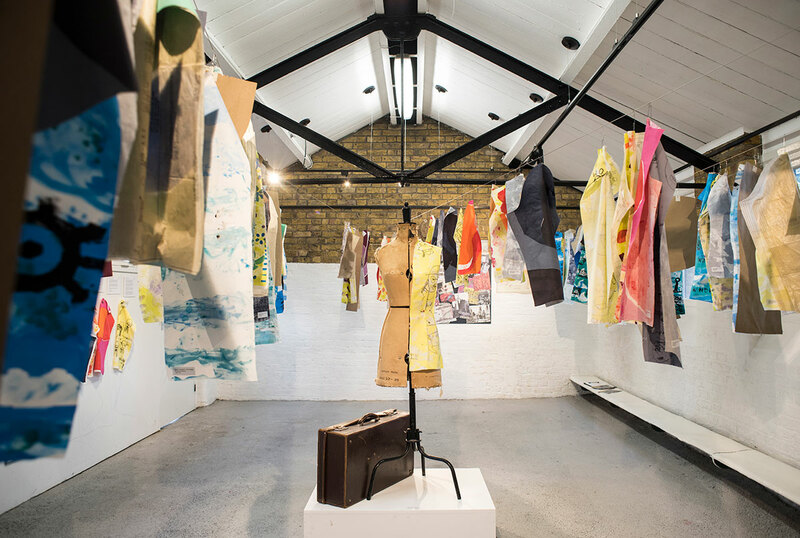 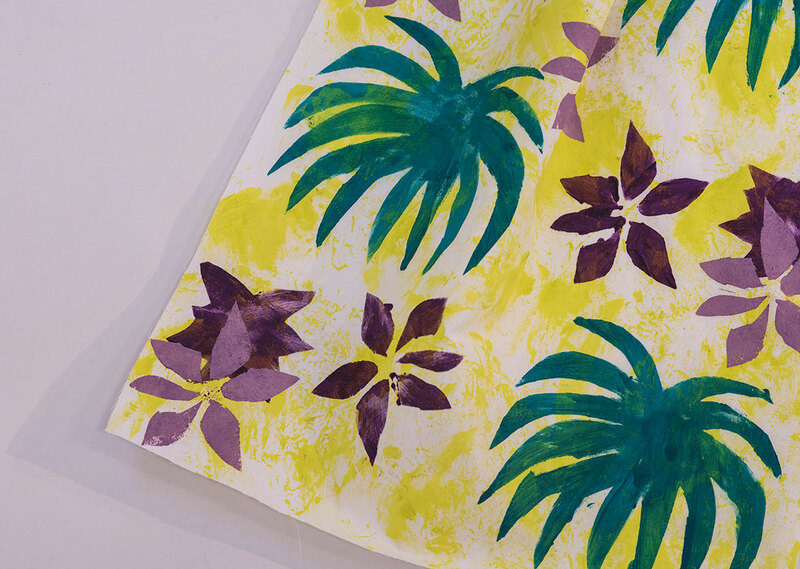 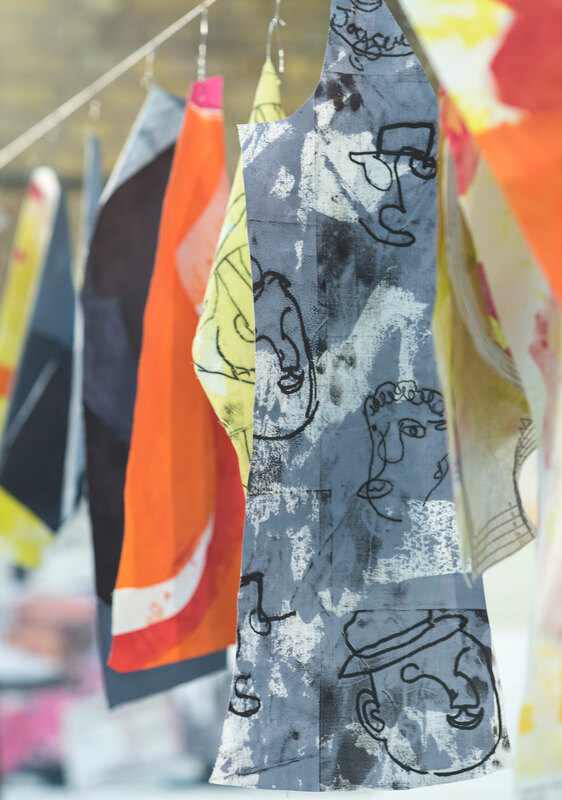 The artworks – A collection of prints on textiles are inspired by British textile designer Althea McNish who moved to London from Trinidad in the early 1950’s. 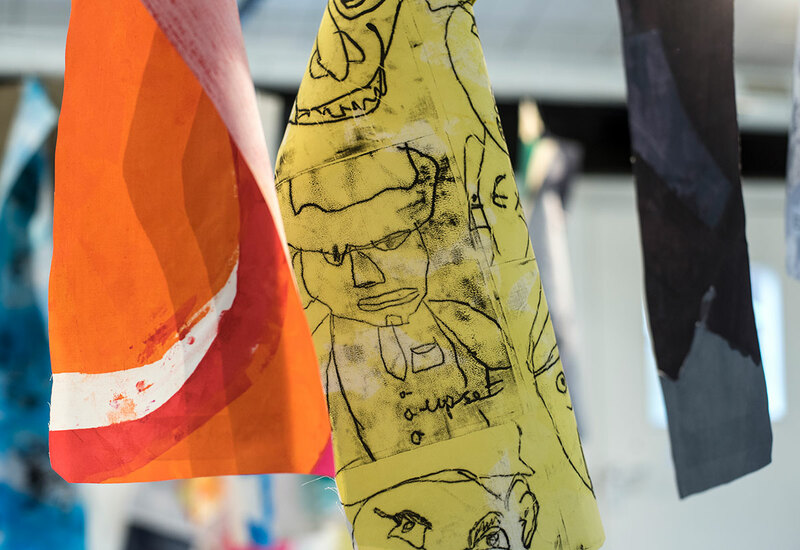 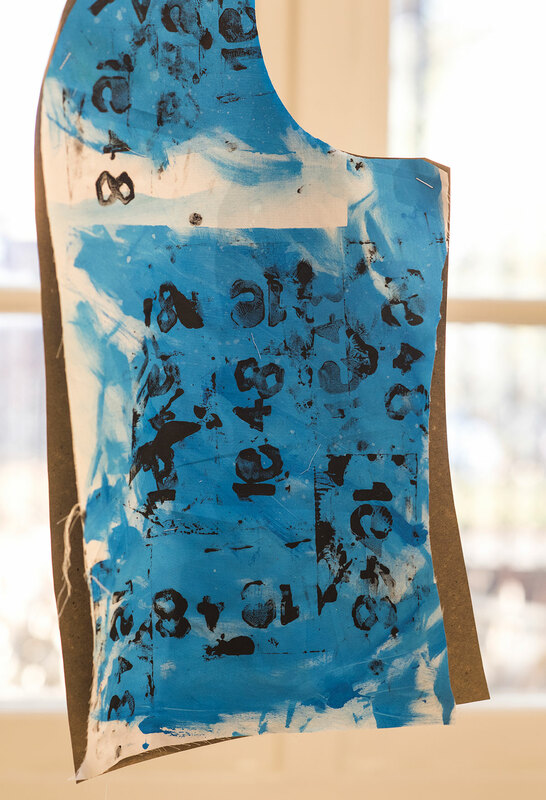 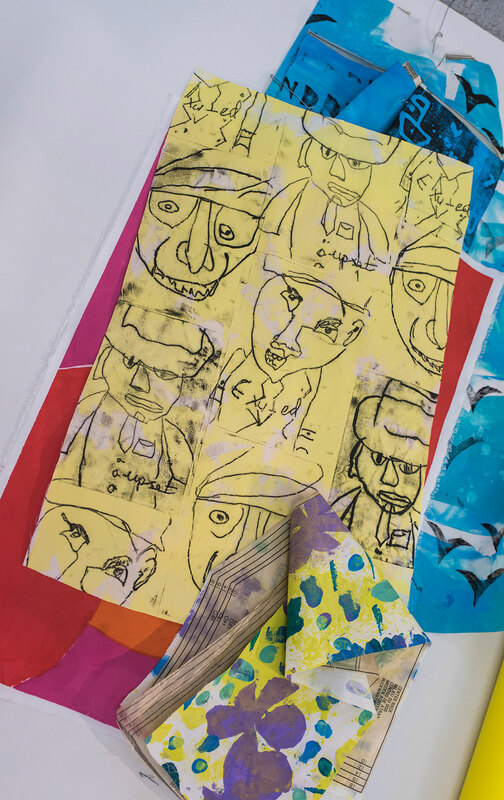 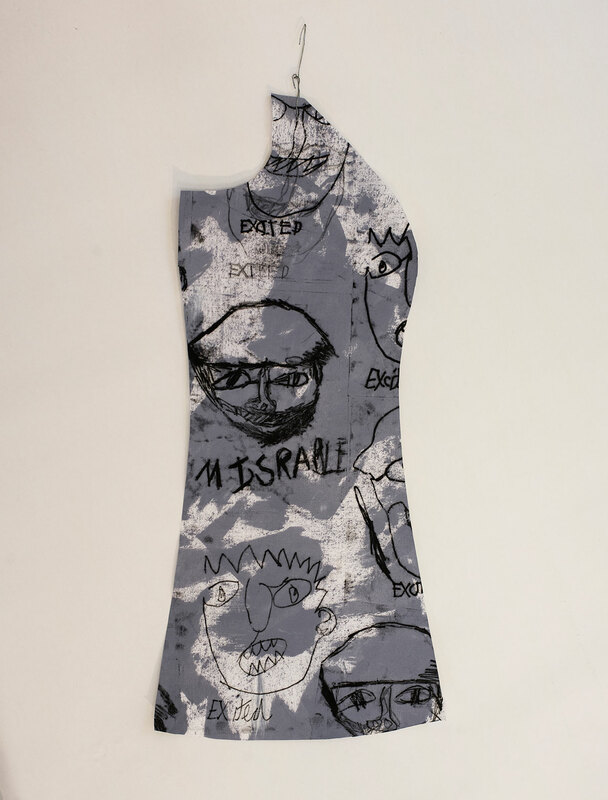 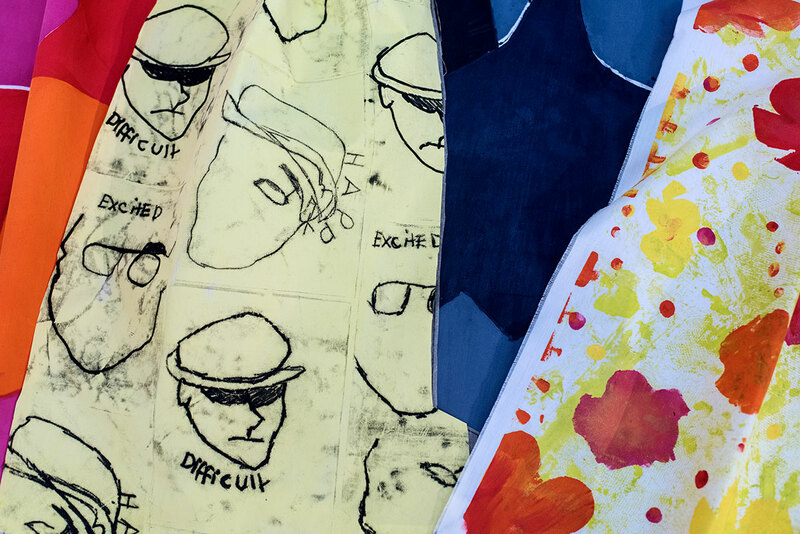 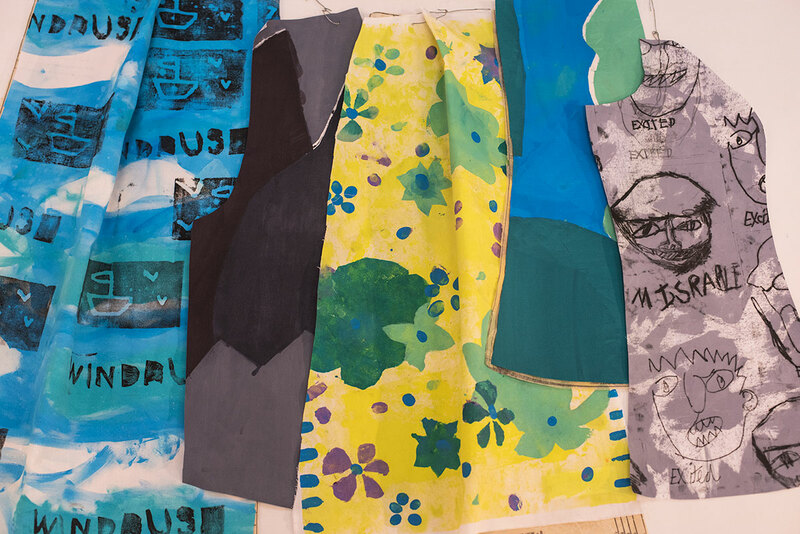 Years 5&6 prints are presented as shapes cut to dress patterns not yet assembled together raising the question of belonging – which pieces belong together? 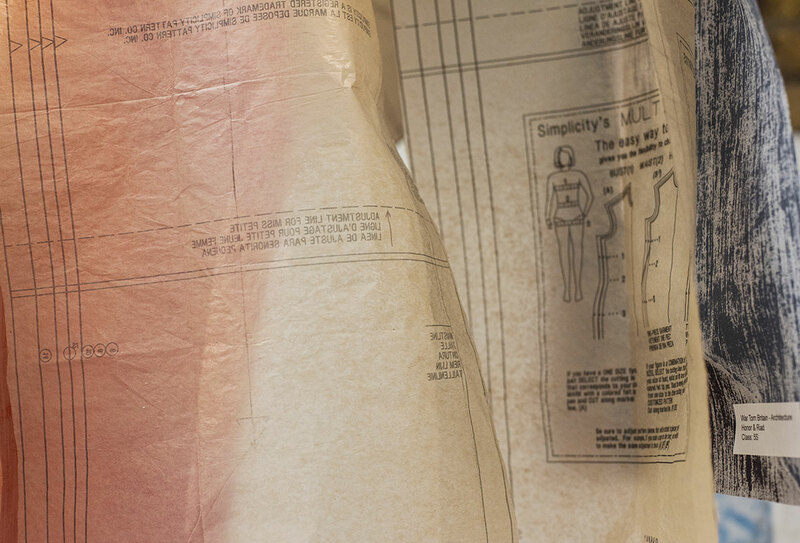 The reference to garments or clothing is also associated with personal belongings and identity. 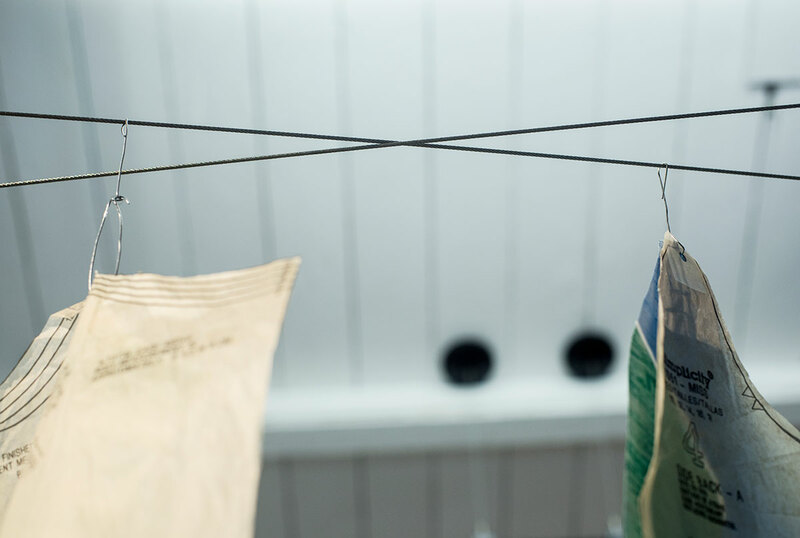 The wires on which the prints hang, connect one end of the gallery, the Caribbean to the other, Britain and so represent the journey, travel or a crossing. 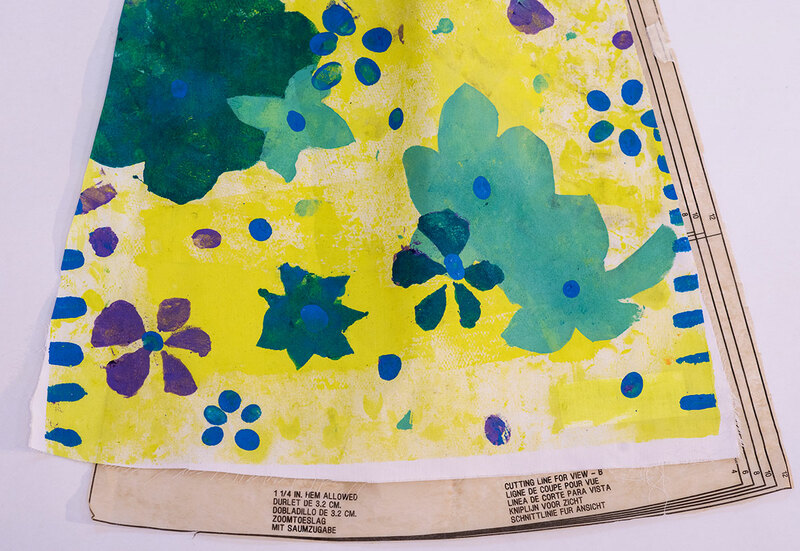 The prints were designed to themes all of which have some relevance to life in the West Indies and that of post-war Britain. 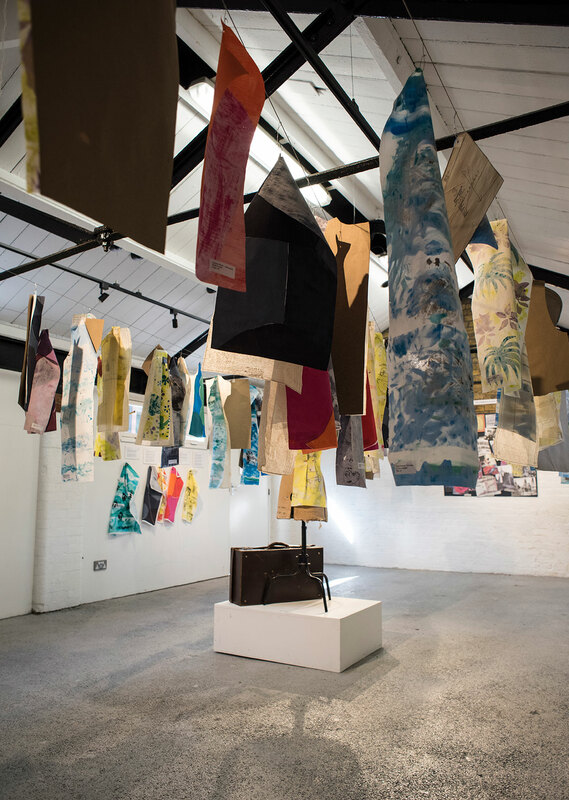 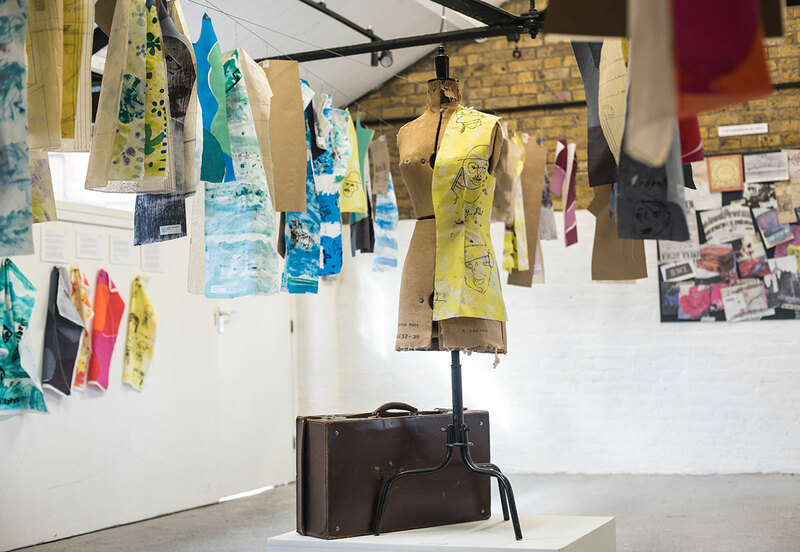 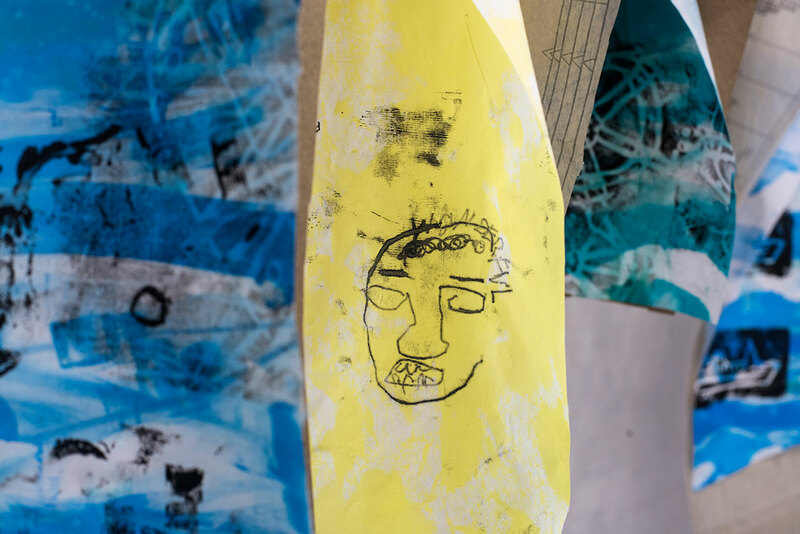 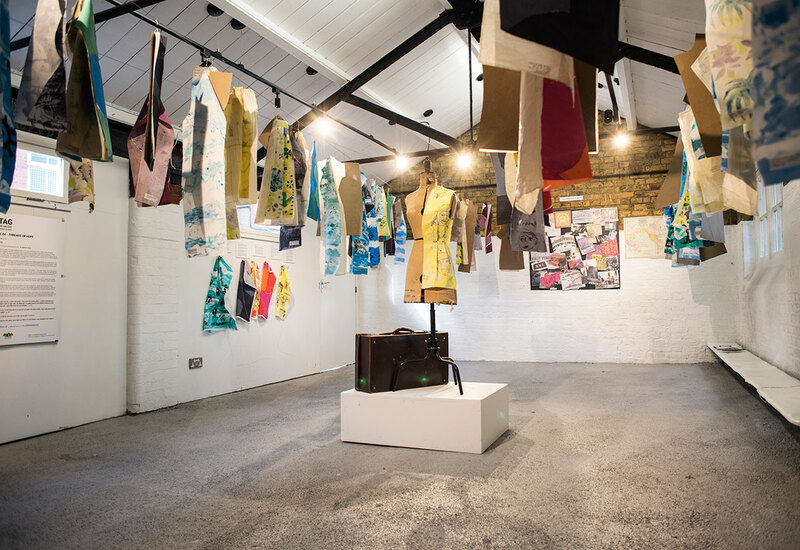 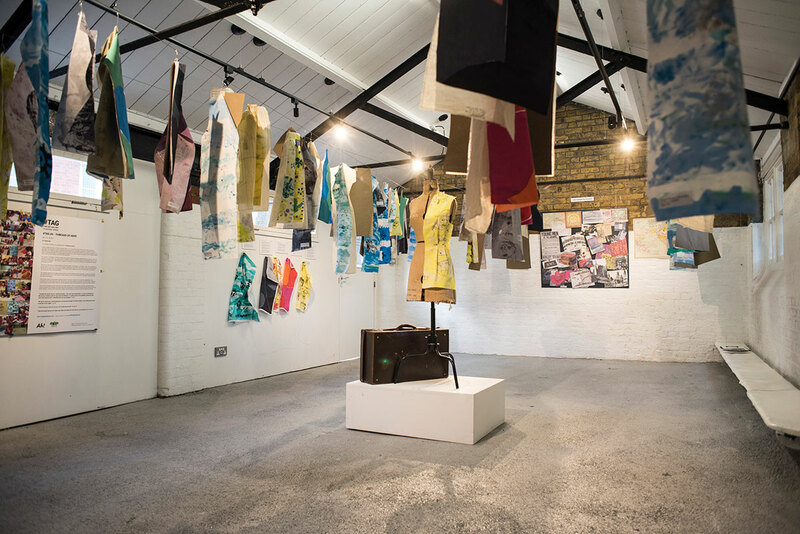 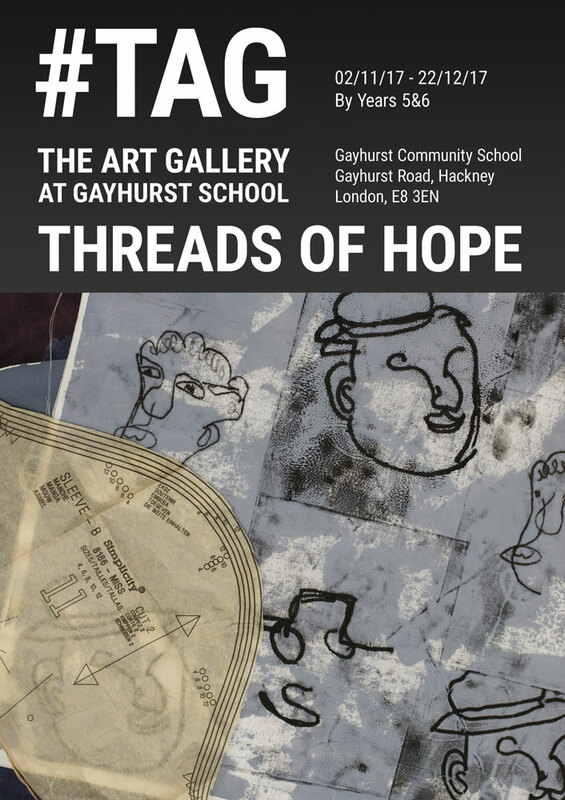 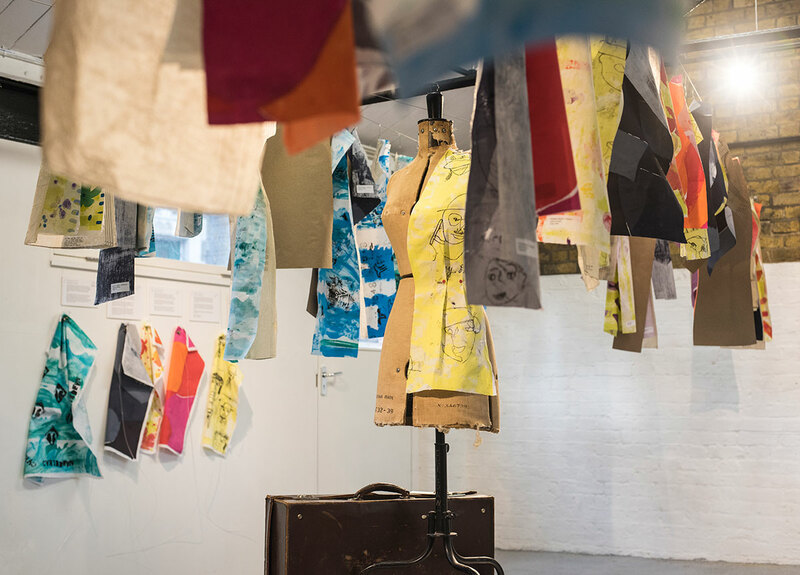 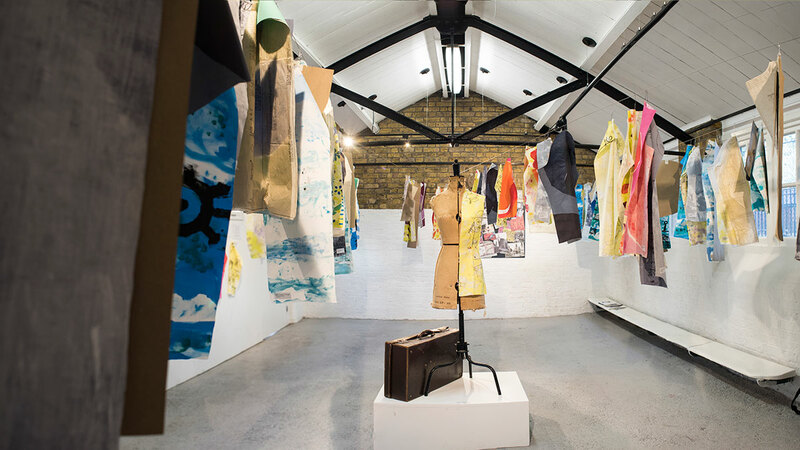 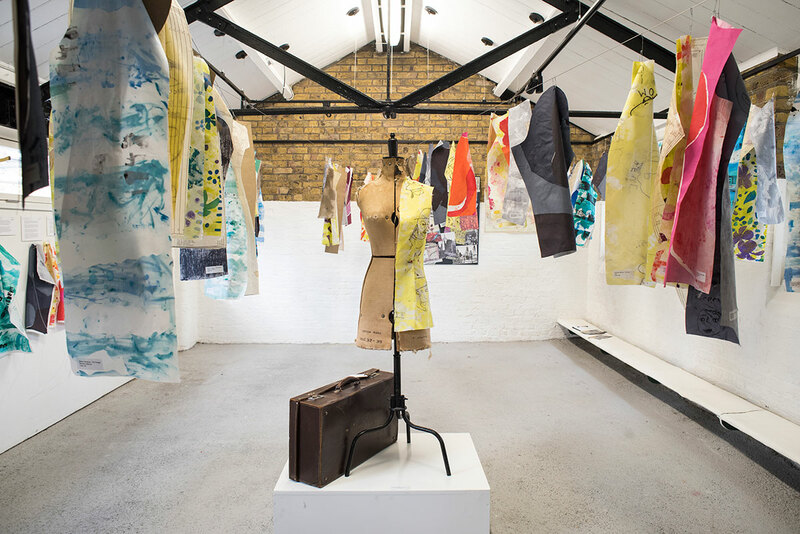 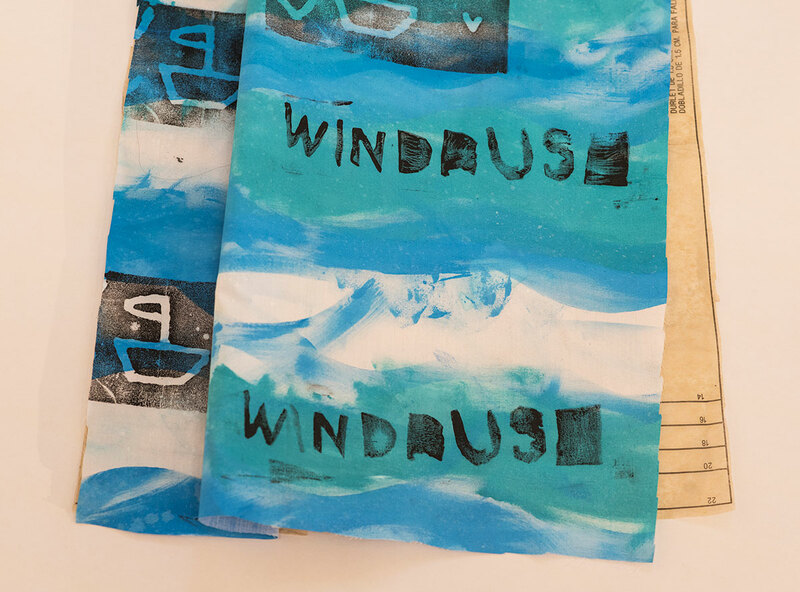 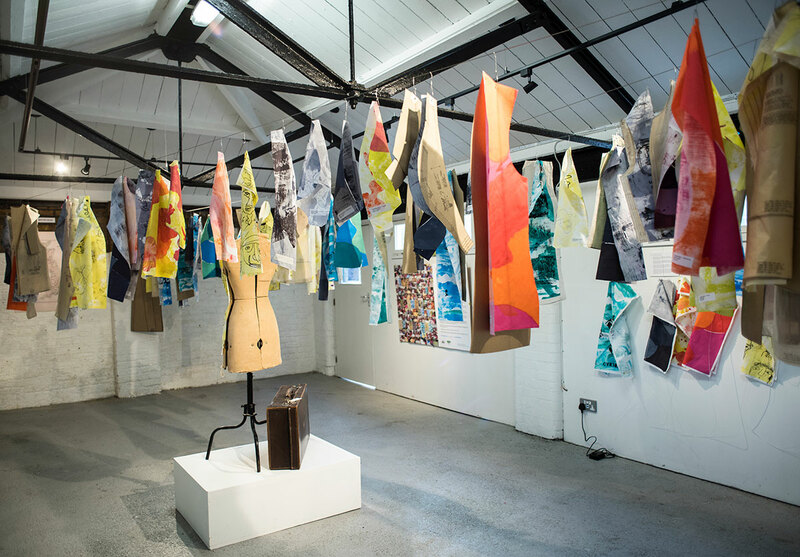 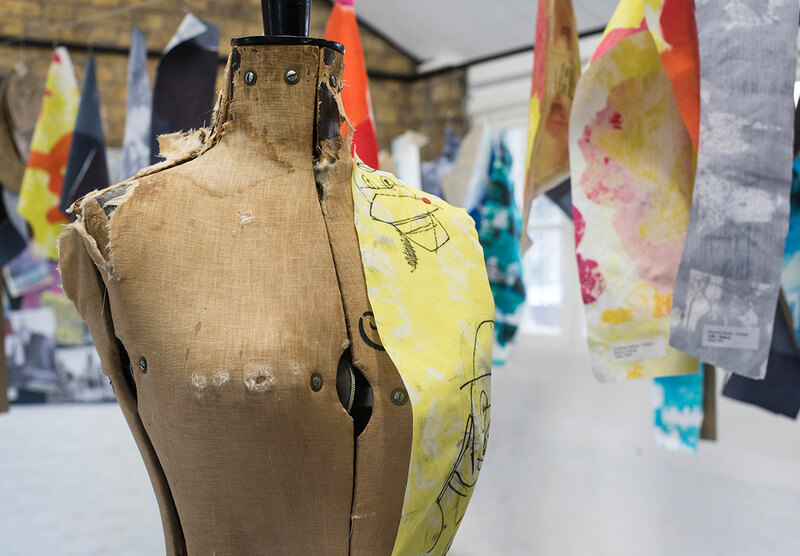 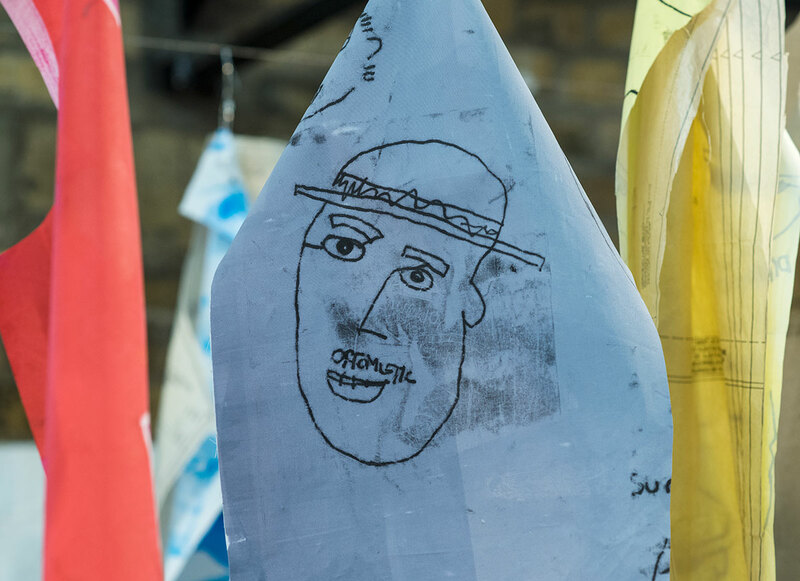 They hang together as visual interpretations exploring the hope and disappointment surrounding the lives and events of the Windrush generation. 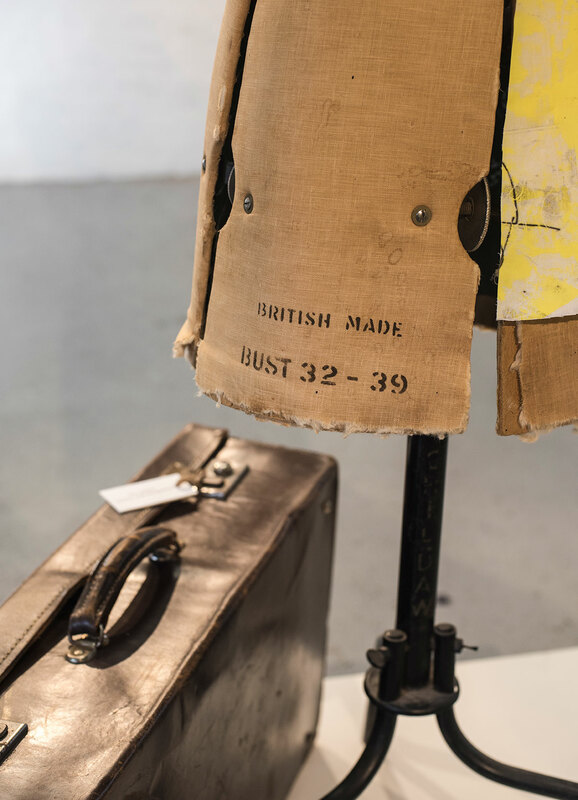 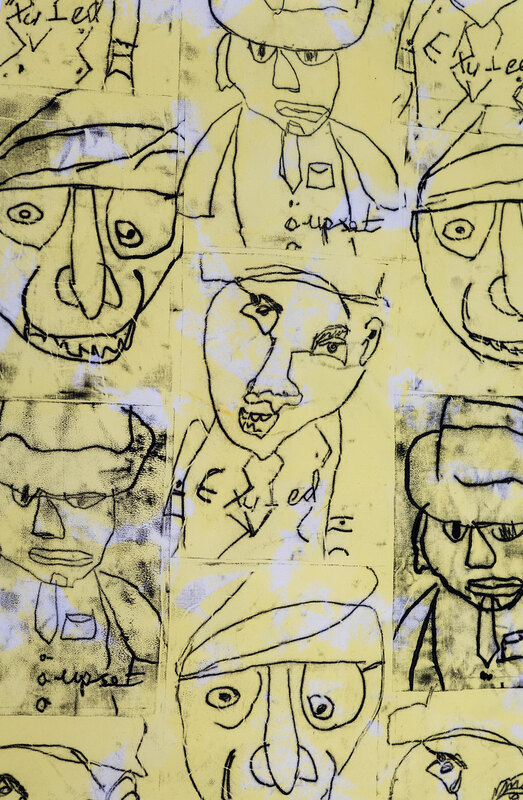 The exhibition addresses the struggle immigrants faced on arrival to post war Britain and the on-going fight for equality in the decades that followed. 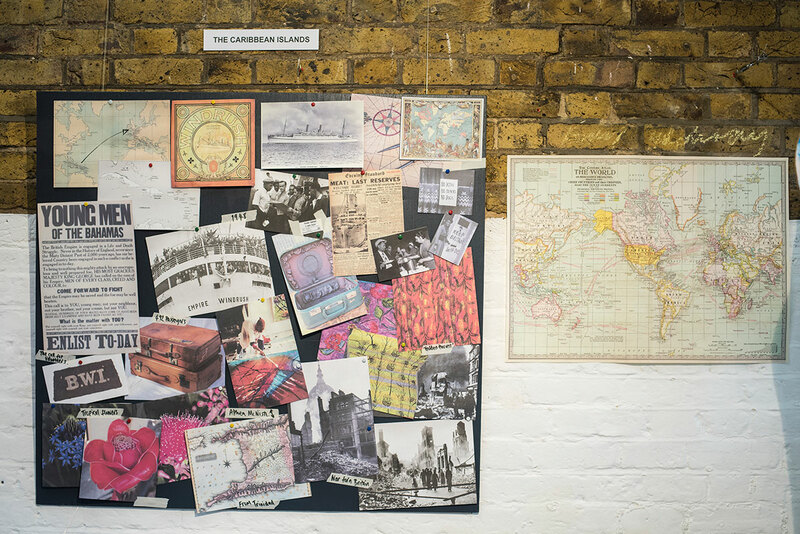 Racism was a brutal reality for families settling in Britain from the West Indies. 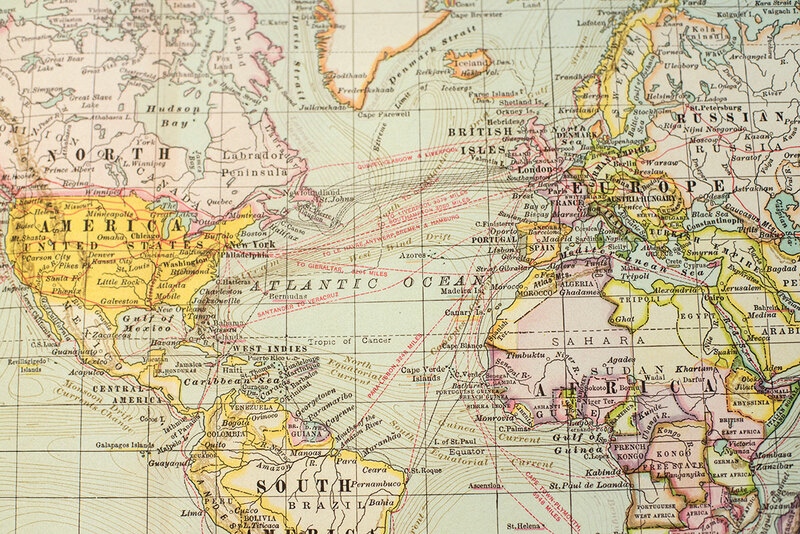 Challenges in finding homes and jobs were commonplace. 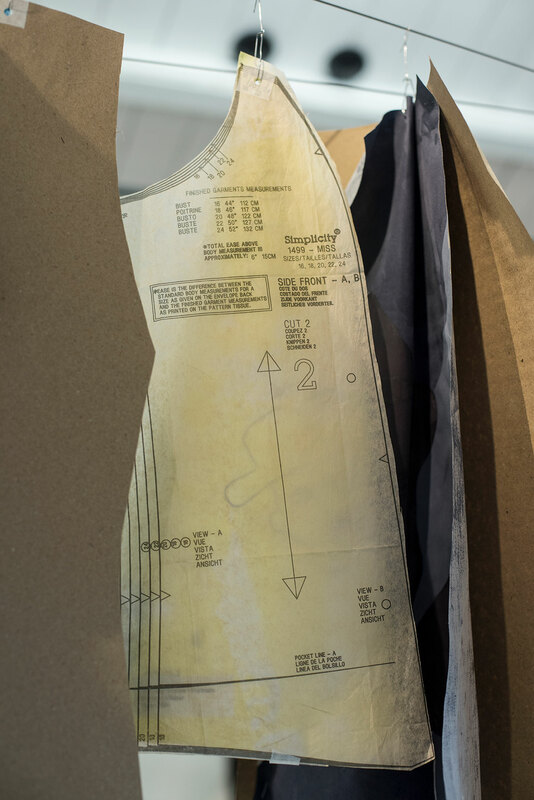 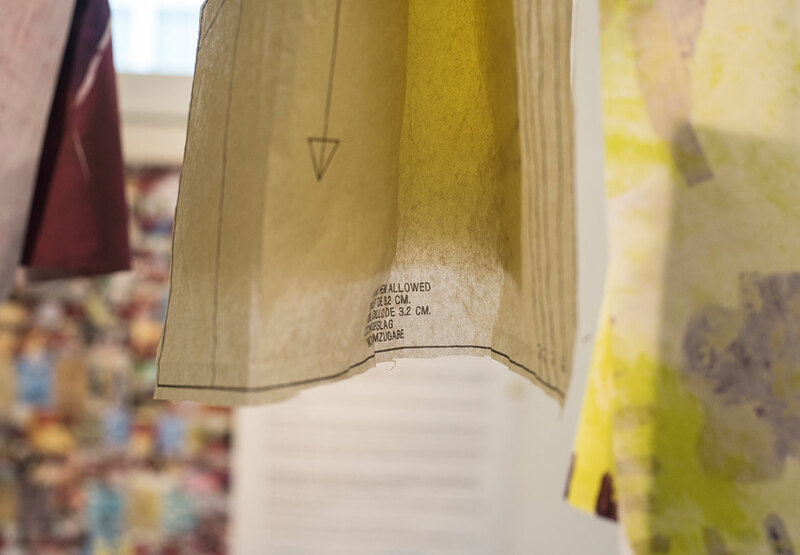 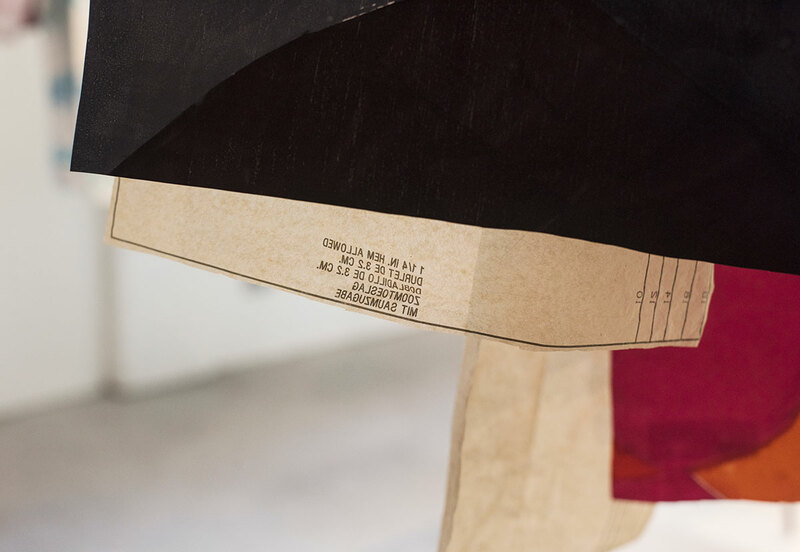 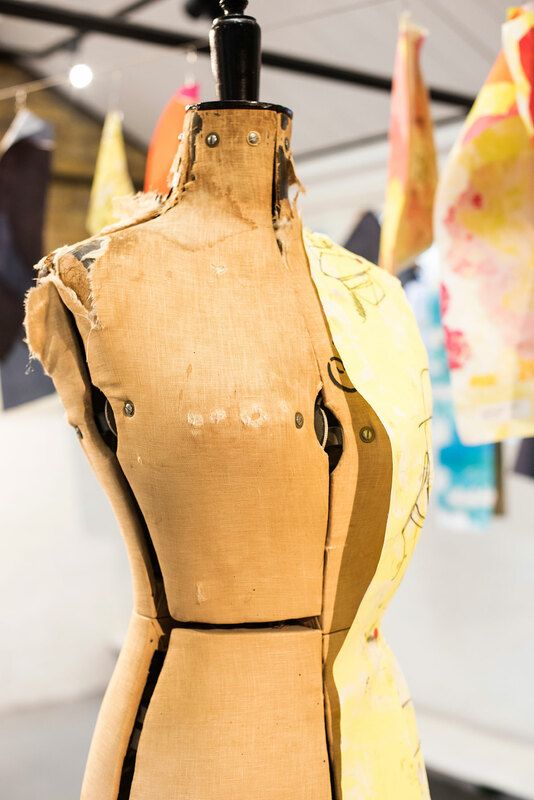 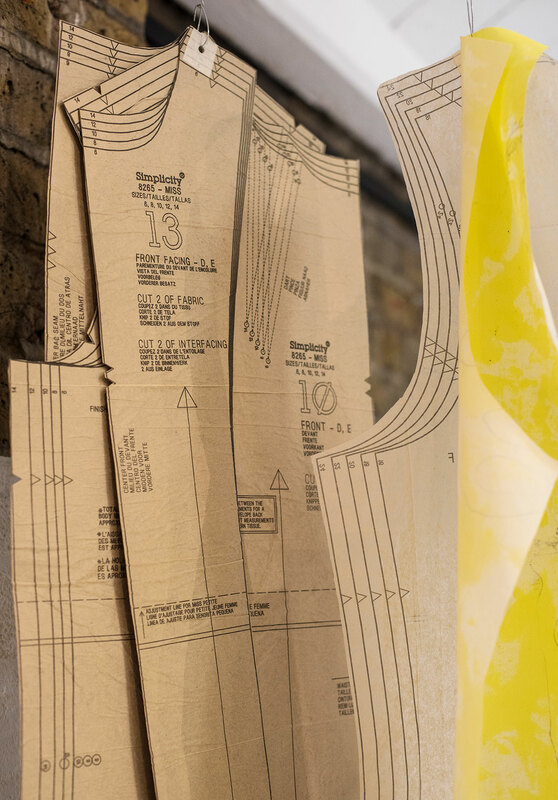 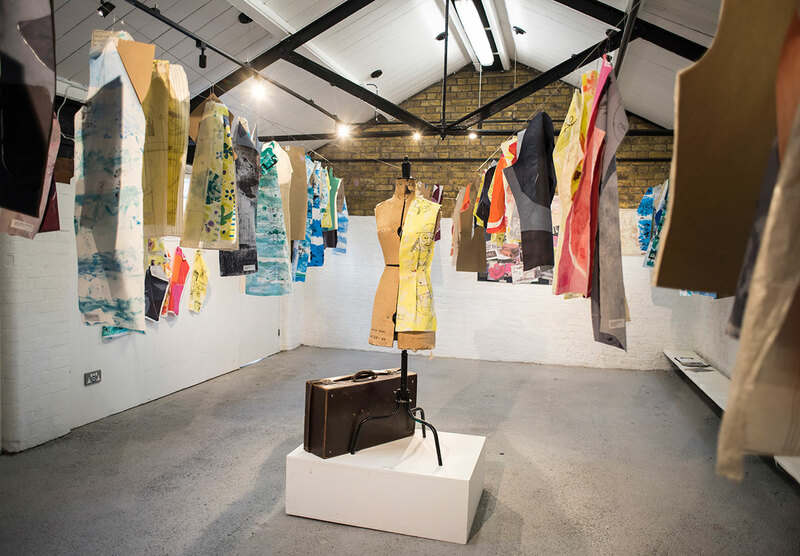 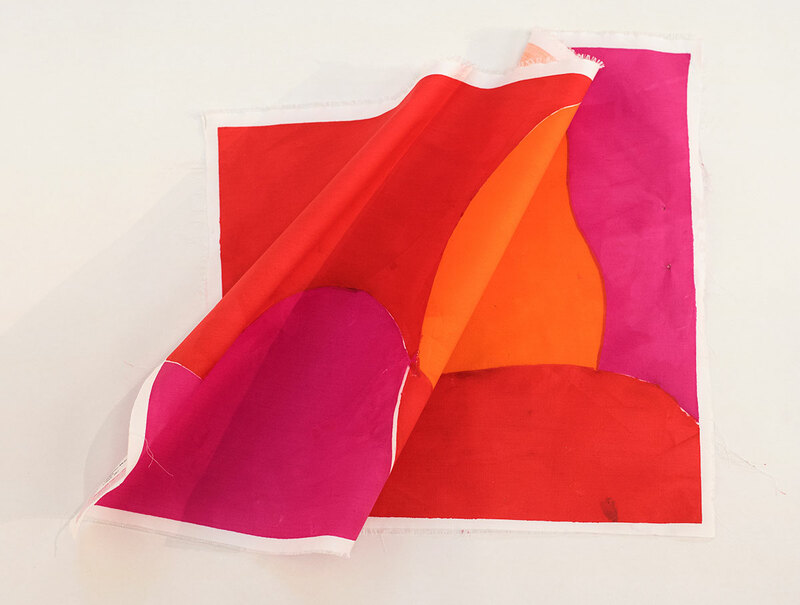 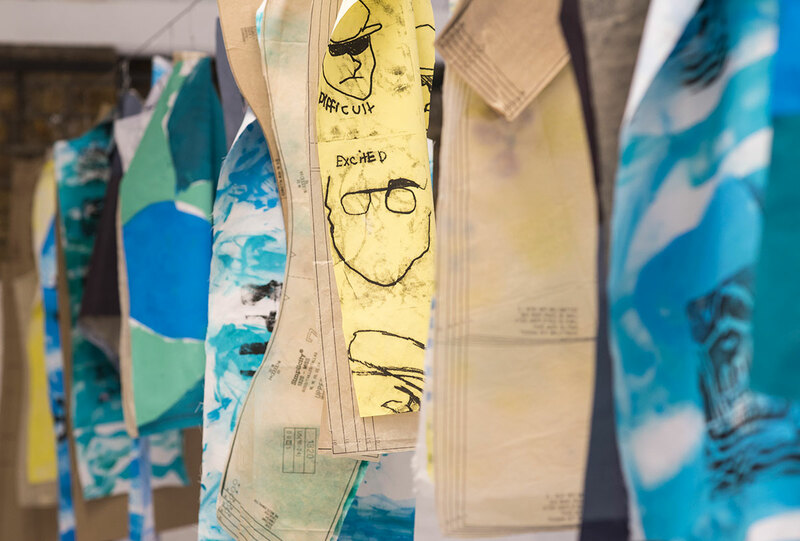 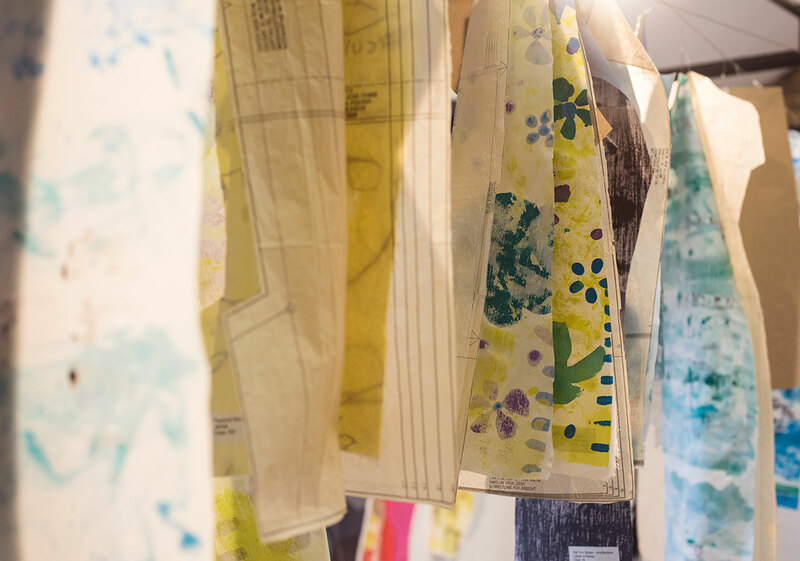 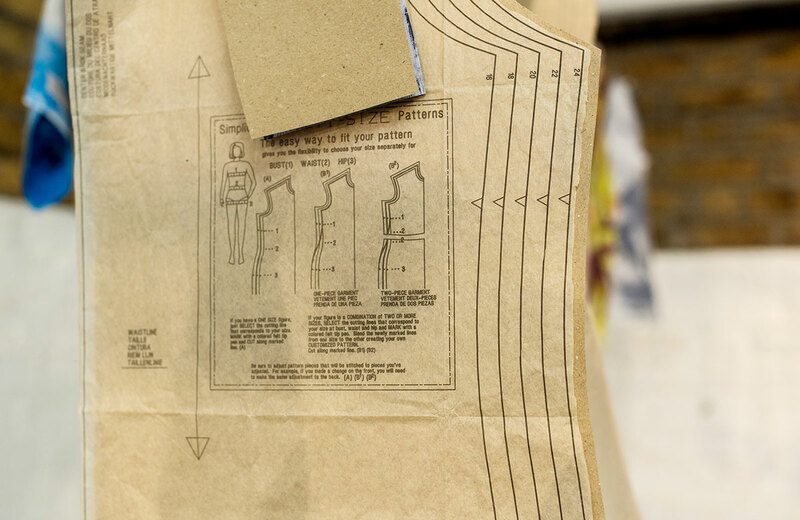 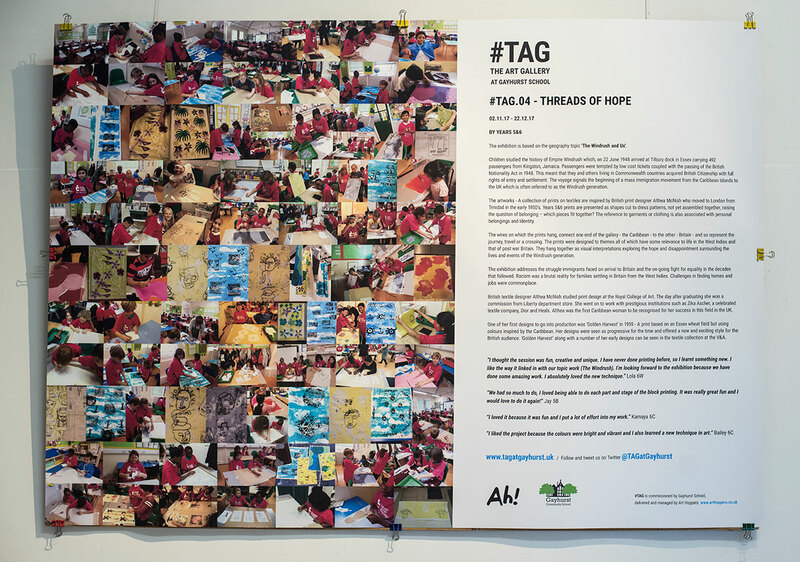 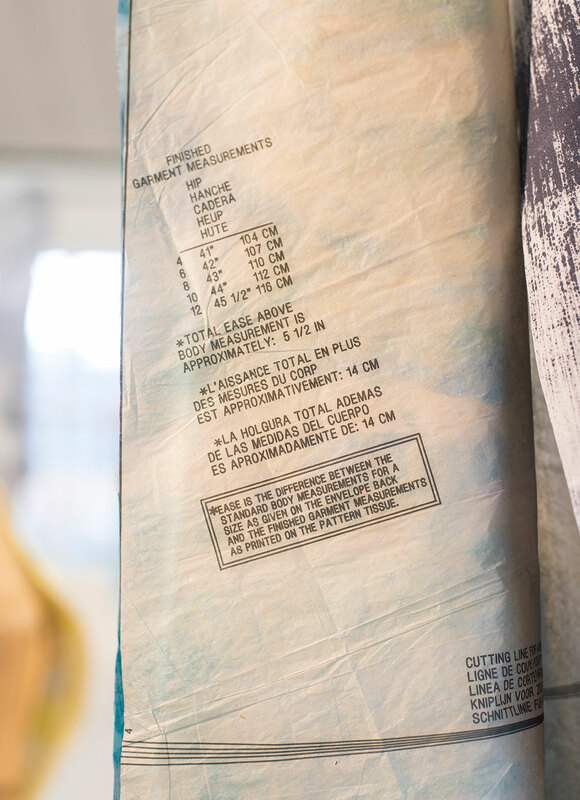 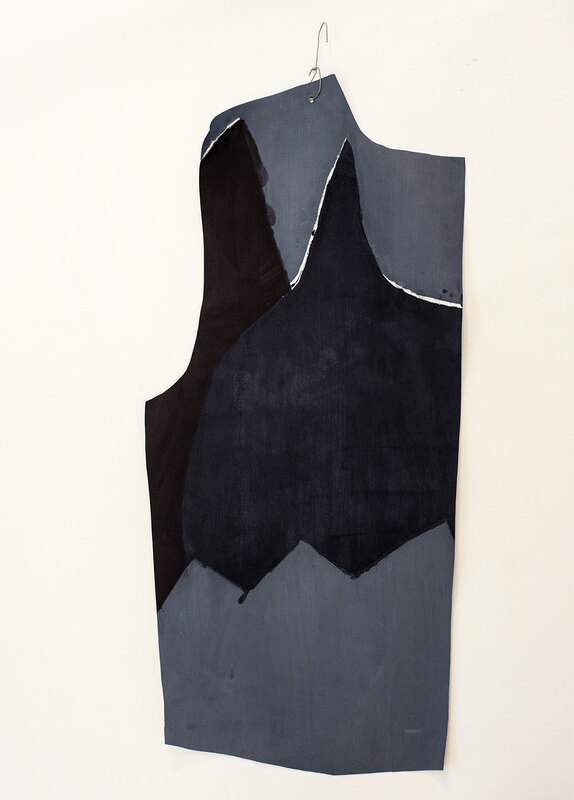 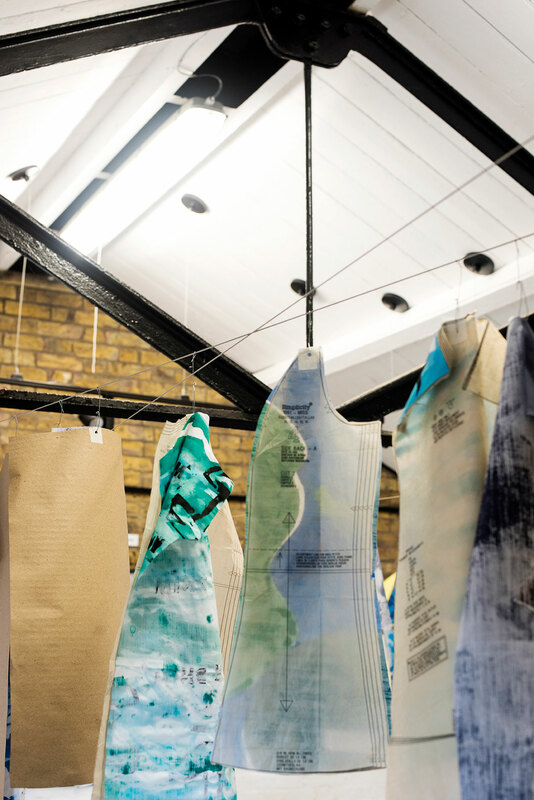 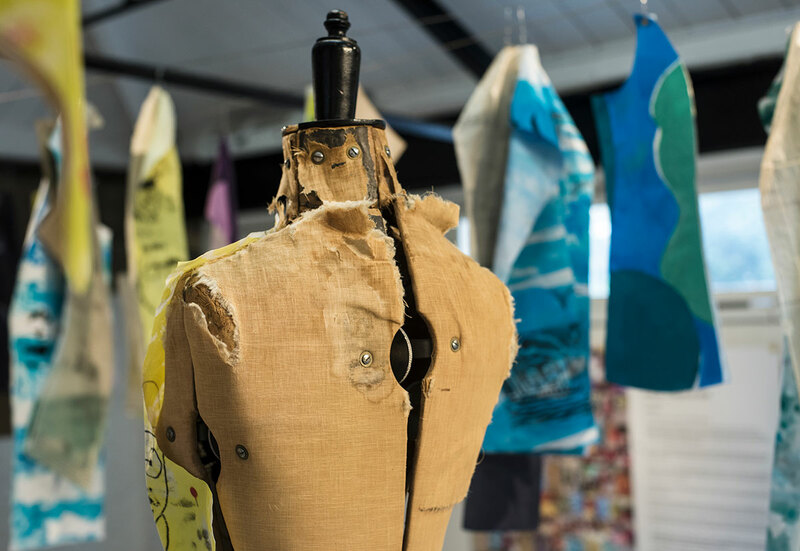 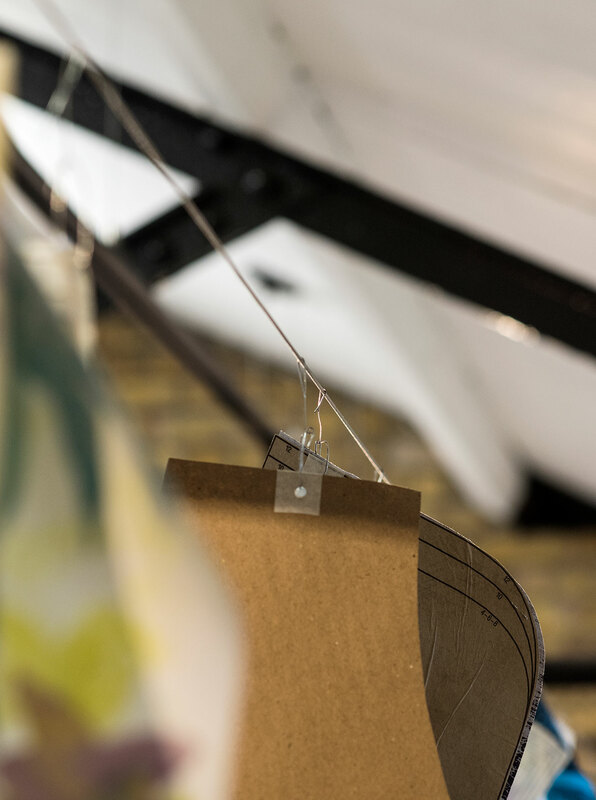 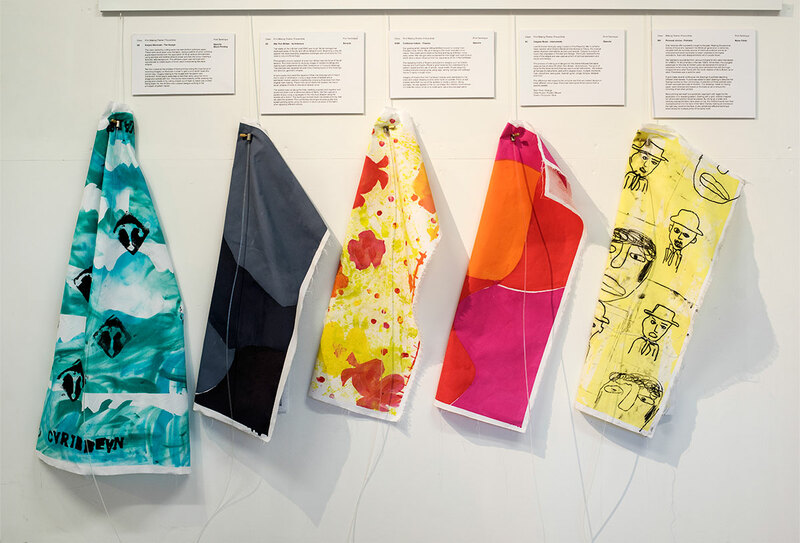 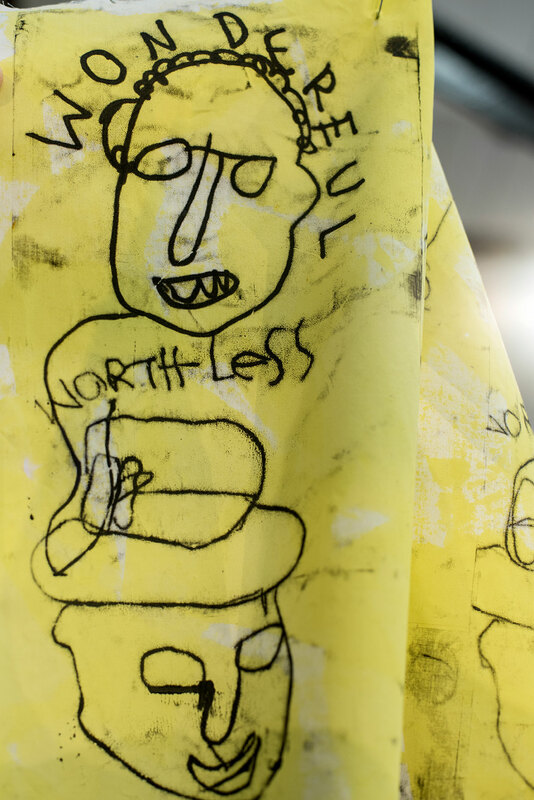 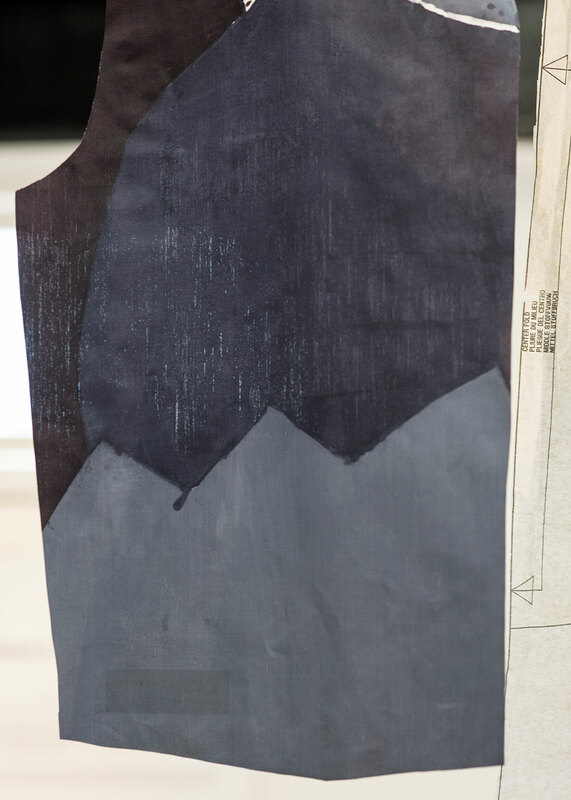 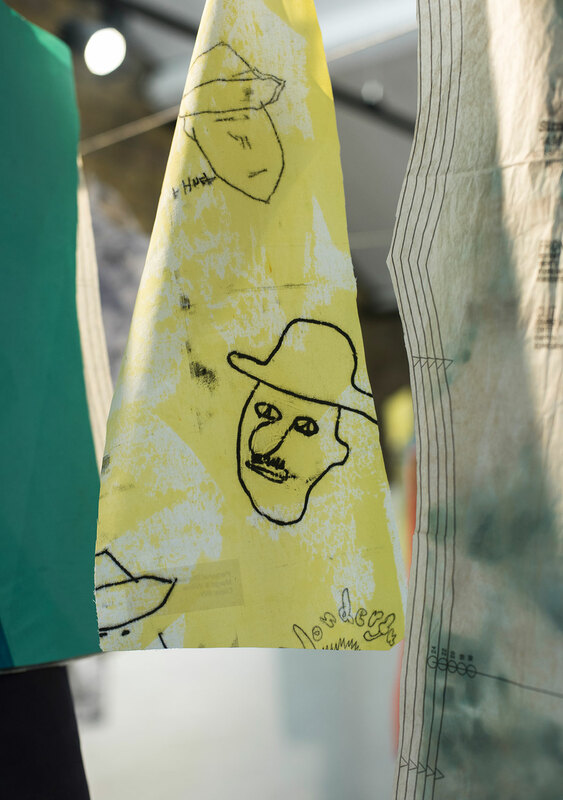 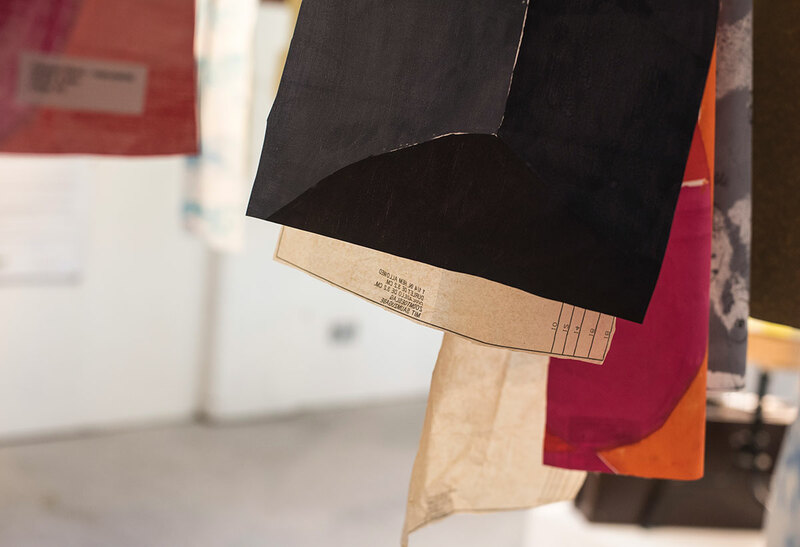 #TAG.04 is inspired by the work of British textile designer Althea McNish who, the day after graduating from the Royal College of Art, won a commission from Arthur Stewart-Liberty, head of the Liberty department store. 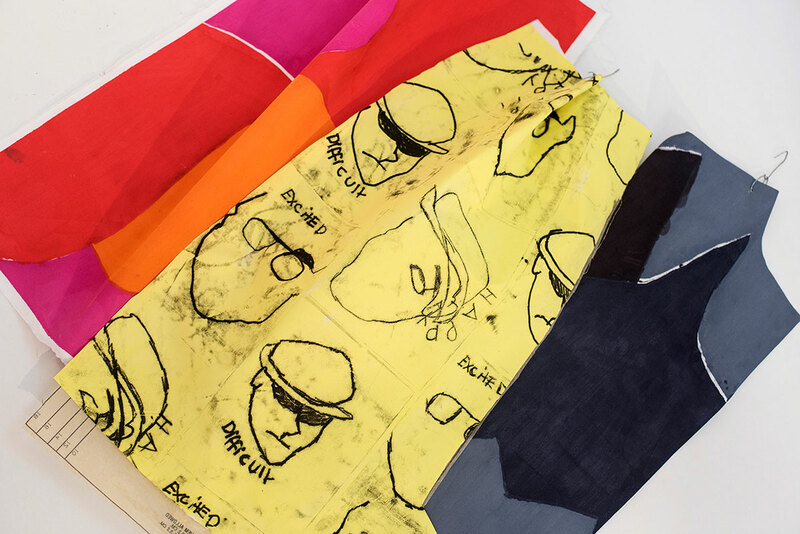 Arthur sent her that same day to Zika Ascher, a celebrated textile company who commissioned her to design a collection of fabrics for Dior the prestigious fashion label. 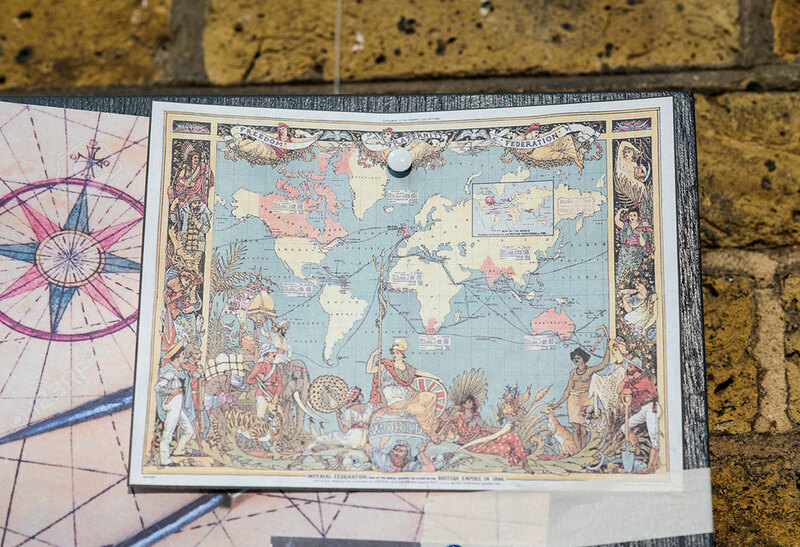 Althea was the first Caribbean woman to be recognised for her success in this field in the UK. 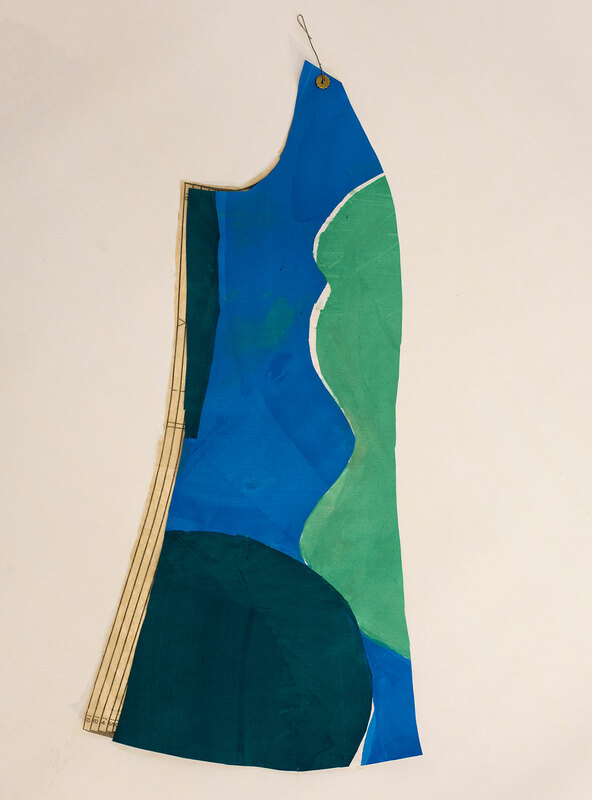 One of her first designs to go into production was ‘Golden Harvest’ in 1959 – A print based on an Essex wheat field but using colours inspired by the Caribbean. 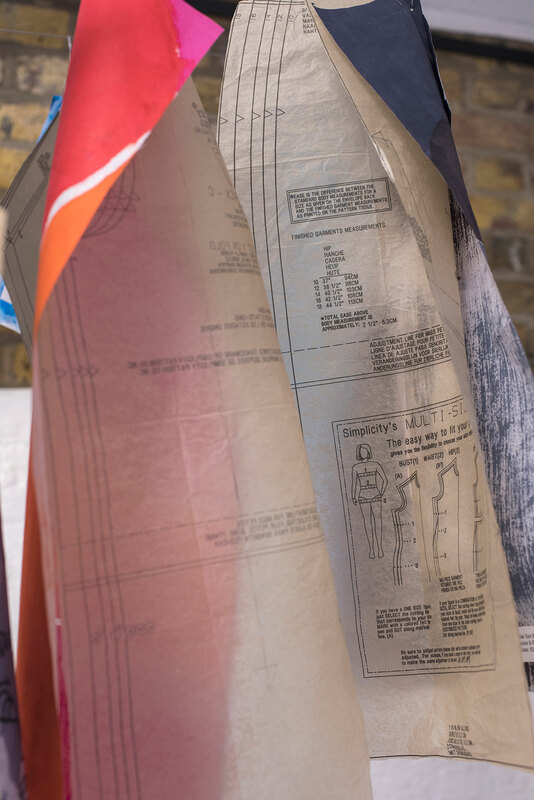 Her designs were seen as progressive for the time and offered a new and exciting style for the British audience. 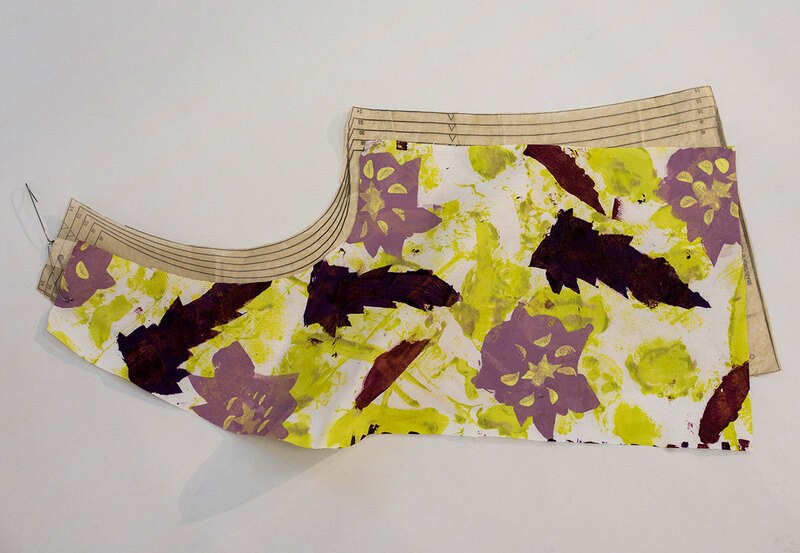 ‘Golden Harvest’ along with a number of her early designs can be seen in the textile collection at the V&A. 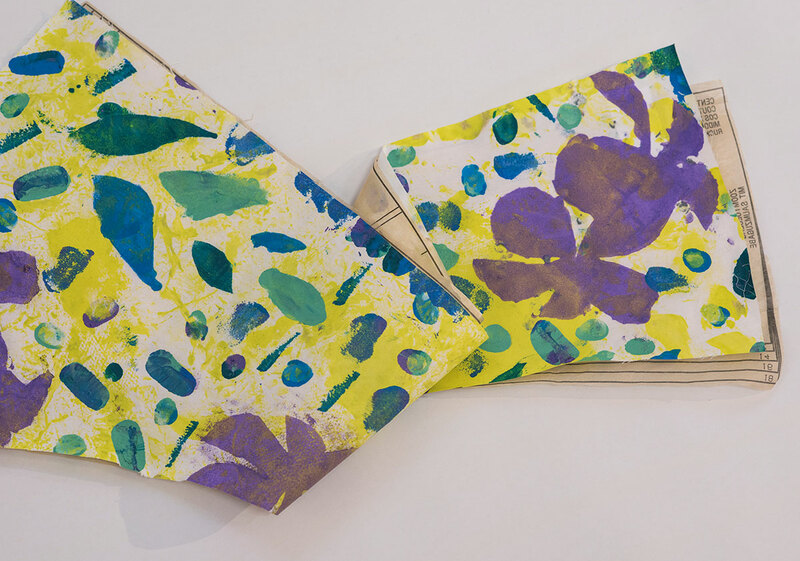 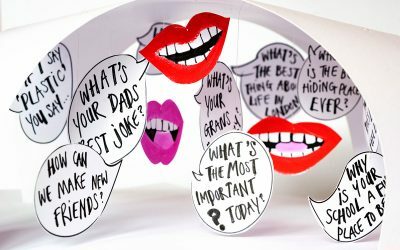 Art Educators / Artists: Claire Ward-Thornton & Johanna Valeur.